However common it may be to dislike tomatoes, I’m not in that camp. Maybe tomato haters haven’t really had the best summer has to offer? I’ll agree; a barely pink tomato that has traveled miles in the winter might not make it into my shopping cart. But give me a juicy, ripe summer tomato, and there’s nothing better. A quick trip to Central Market reveals innumerable options. To select the best tomatoes, they should be firm to the touch with a little give and their exterior should be bright (red, orange, yellow, green, you name it). Getting them home is just as important as selecting them in the first place; be sure they don’t get smooshed under your heavier groceries. And though you may be tempted to cut the seeds away when it’s time to dig in, America’s Test Kitchen host Chris Kimball advises otherwise. In an interview with NPR, he told us that the seeds have three times as much flavor as the flesh. Never discarding those little gems again! Bland fruits and vegetables really don’t belong in our diet. They encourage us to add flavor enhancers, like salt, sugar, or fat, or just eat more of the stuff that tastes better, like processed junk foods. Worse, foods without color are often warning you that they don’t have much in the way of nutrients (there are exceptions, of course). 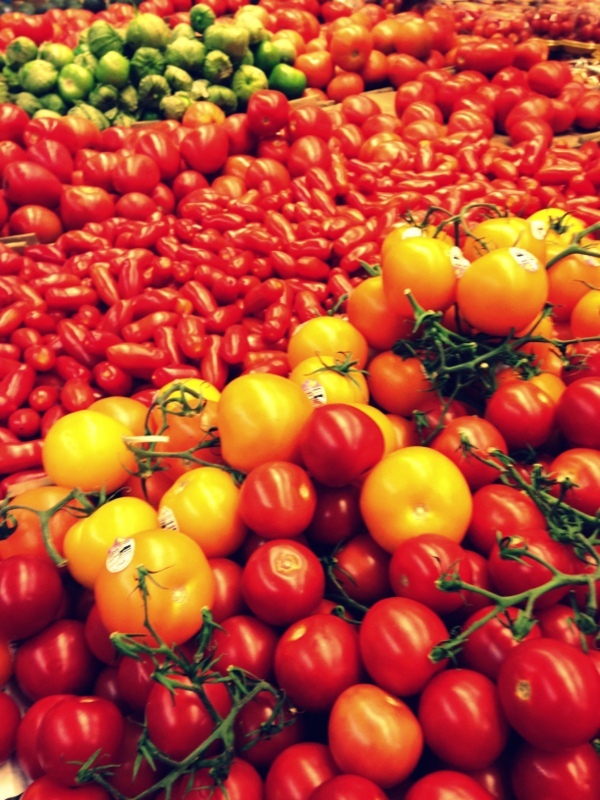 To make sure both your tongue and your health are getting their money’s worth, look for tomatoes with a lot of color. Grab some small cherry, grape, or San Marzanos for snacking. Broil a few tomatillos and you’re on your way to a great salsa verde. Thickly slice some beefsteaks and top with blue cheese and balsamic for a first course. 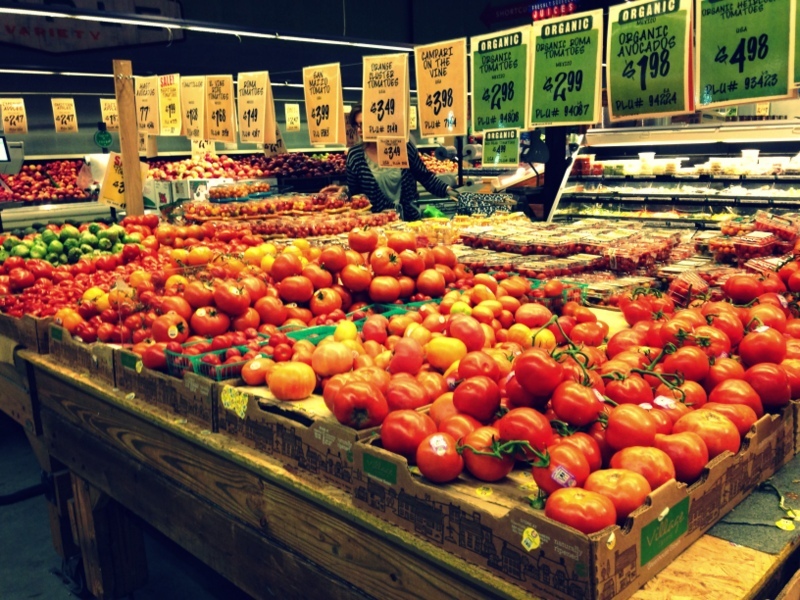 Or grab a selection of heirlooms – all different colors, shapes and sizes – to create a beautiful salad. A little mozzarella and prosciutto mixed in and you’re in heaven. And those are just a few fresh summertime applications. I won’t even get into roasting, stewing or braising tomatoes lest I start drooling on my keyboard. Now you want to look me in the eye and tell me you don’t like tomatoes?